Water damage might make repainting seem hopeless, but with a few basic steps, it’s easy. 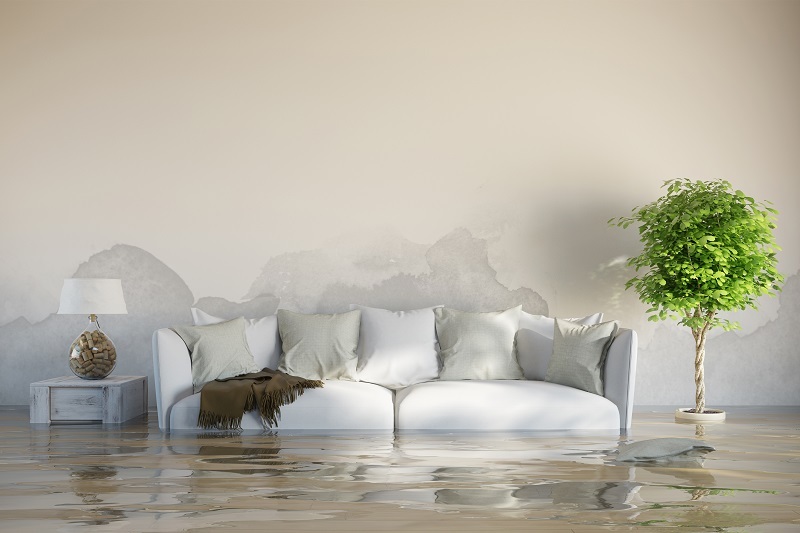 If your home recently experienced a flood, you may need to repaint many of the walls in your home. This unfortunate and daunting task can take a long while, but it’s an absolute necessity if you want your home looking the way it was before disaster struck. Once you start picking up the pieces after a disaster like a flood, it’s time to start thinking about repainting. First, you want to determine if the water damage has ruined any drywall or structural elements of your home. Make sure everything dries out completely before even thinking about trending paint colors. It may be a good idea to bring a professional in if the damage is extensive; you don’t want to risk potentially wasting your time and money by repainting damaged structural elements that need to go anyway. After you’ve determined the area is safe to repaint, you’re going to want to do some cleaning on water damaged areas. Use sugar soap to remove dirt and dust. As a result of all the moisture that has built up, mold growth is a concern, so using some kind of mold killer would be a good idea. Remove flaking with a scraper and feel any new cracks with sealant or plaster. Once your area is cleaned, prepped, and ready to go, it’s time to start the actual painting process. Before you go slathering on your favorite paint, apply primer. You can now start repainting your home! Paint to your heart’s content, or consider hiring professional painters to get the job done for you. If you have concerns over whether or not the paint has been properly applied, try an adhesion test. Simply cut an X shape through the paint with a sharp knife, press some clear tape across the shape, then rip it off. If the tape comes away clean, you’ve successfully repainted your home!